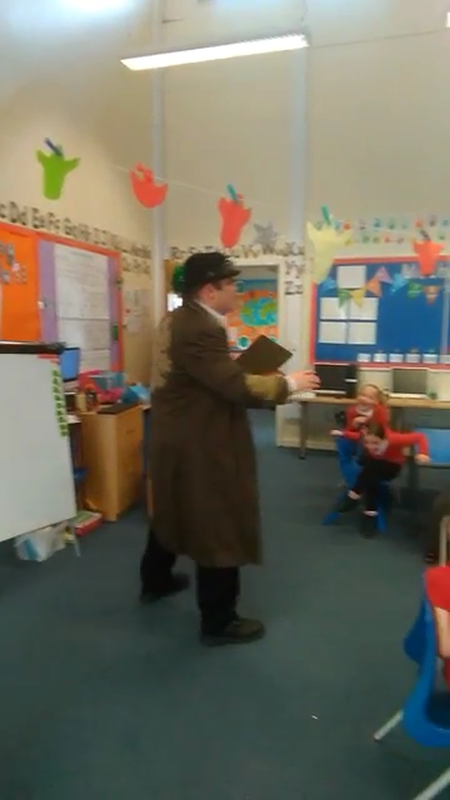 This week we were very lucky in year 1 as professor Icarus Bly has been into school to visit us. 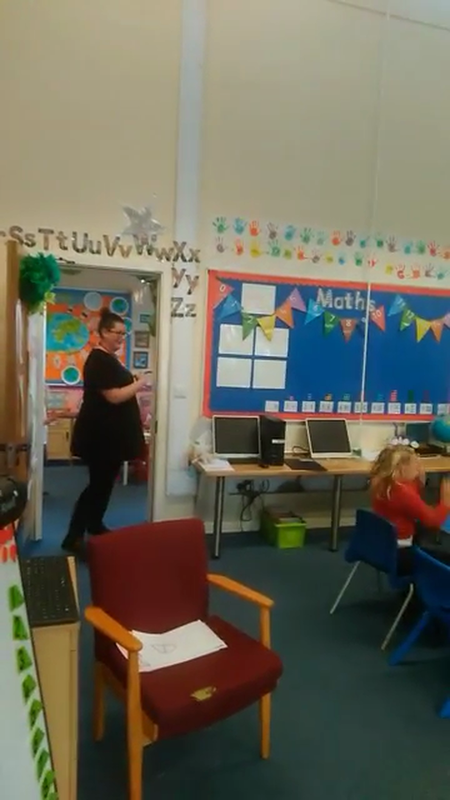 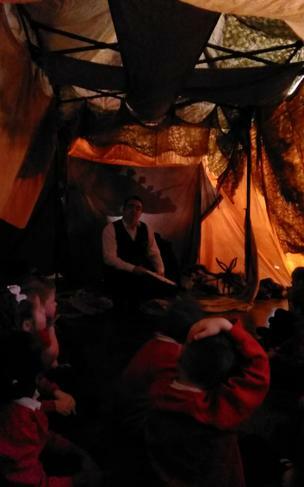 He came into our school and he introduced us to the 'cavemen' tribe. 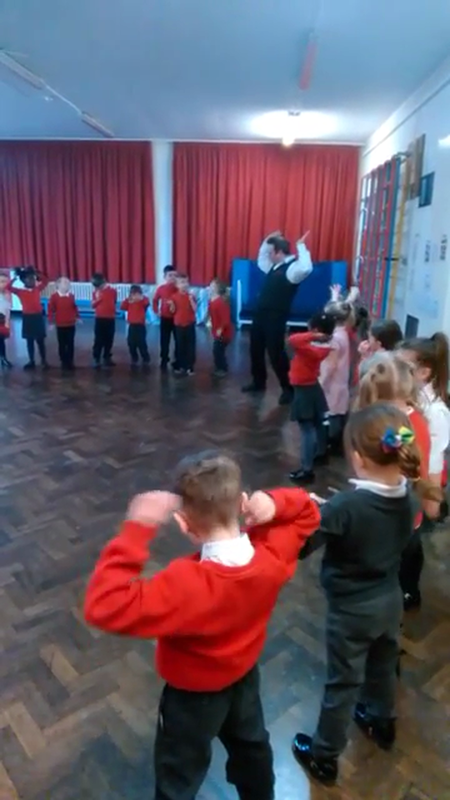 When the children met Icarus! 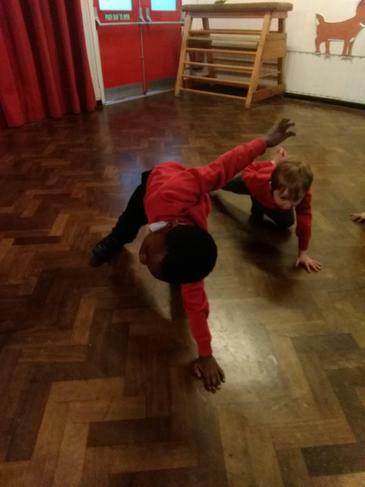 Once we entered the cave with Icarus we became members of the tribe. 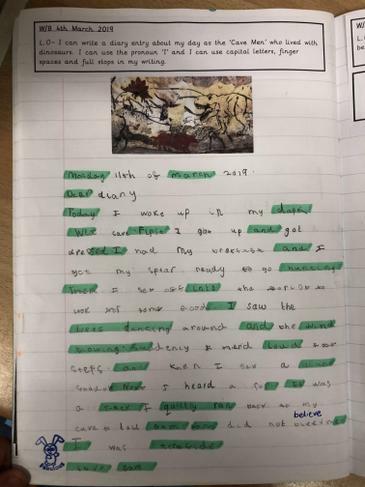 We loved learning about how the tribe survived and how their day differs to our now. 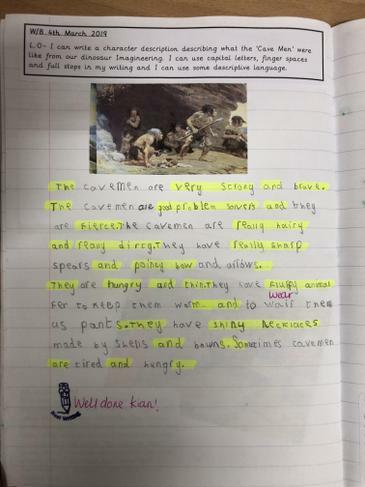 We learnt about what the cavemen would have looked like, how they would have hunted their food and how they kept themselves safe and warm. 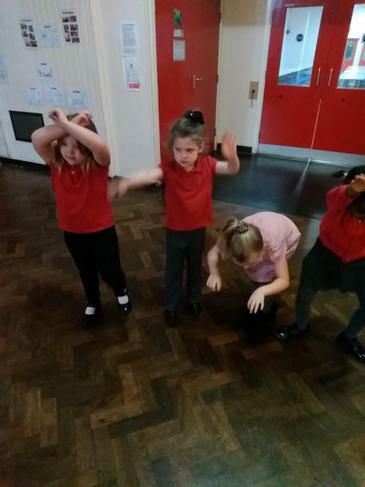 We also learnt the story of when Narla and Gam first met their neighbours...THE DINOSAURSSSSSSS!!!! 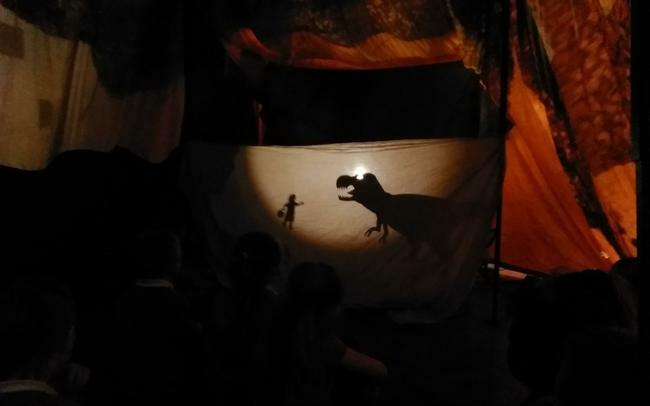 The story of when the tribe first met the Dinosaurs! 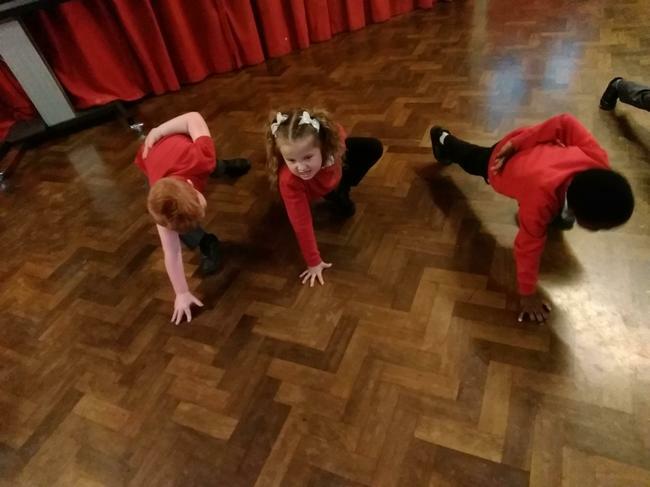 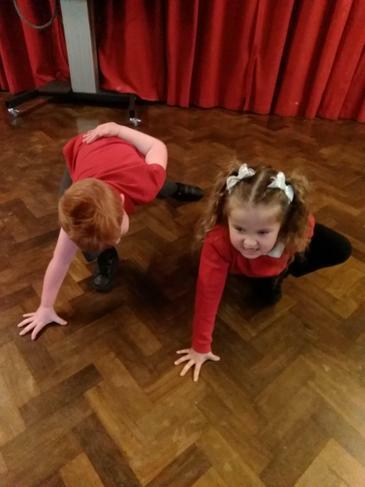 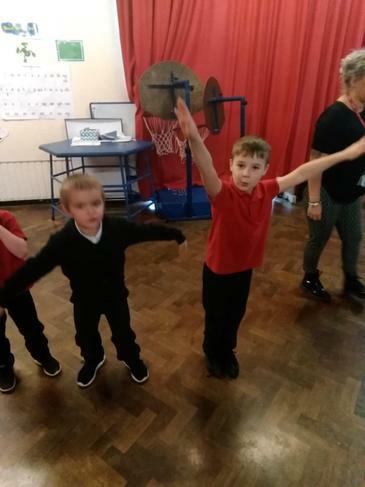 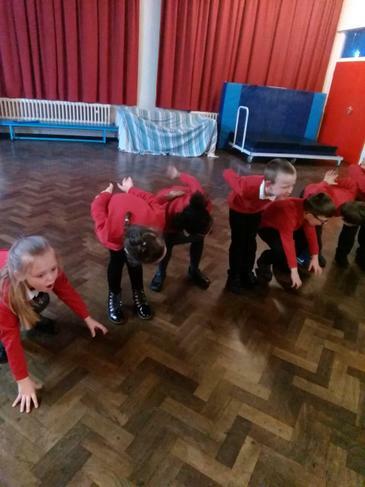 Pretending to become the dinosaurs! 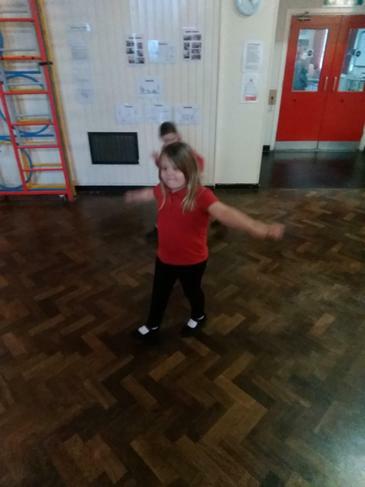 After our morning with Icarus we had to complete some tasks for him before he visits us again next week. 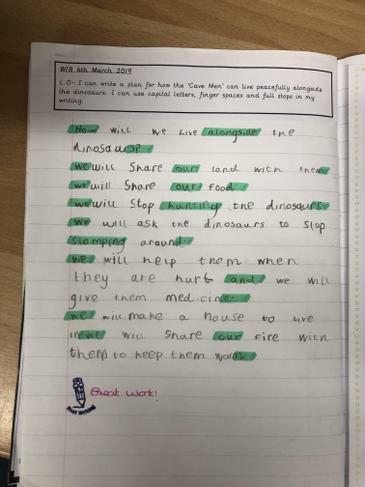 Icarus wanted us to think about how we can live alongside the dinosaurs in peace. 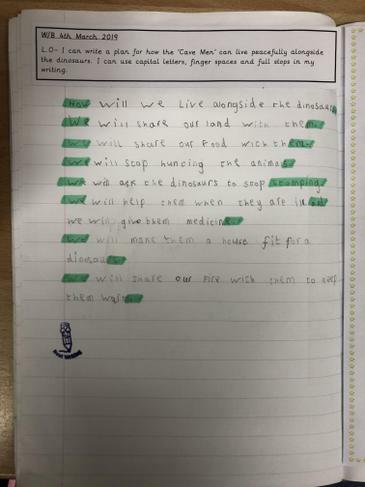 He asked us to write our ideas down into a plan. 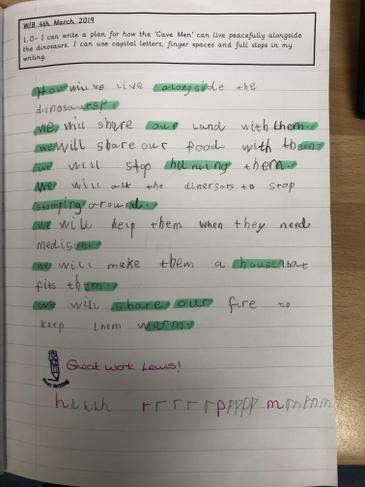 We came up with some great solutions! 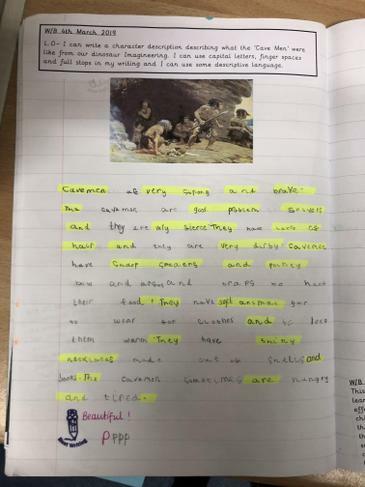 We also wrote about our tribe and what the people were like who we lived with. 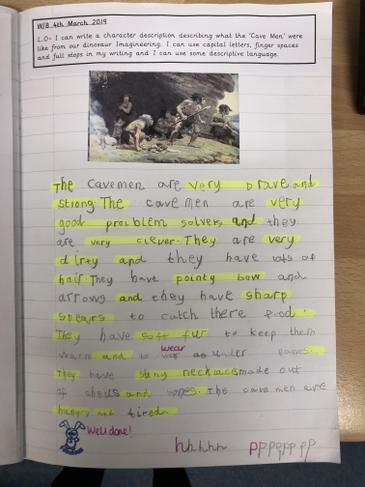 We used lots of WOW words to describe the cavemen. 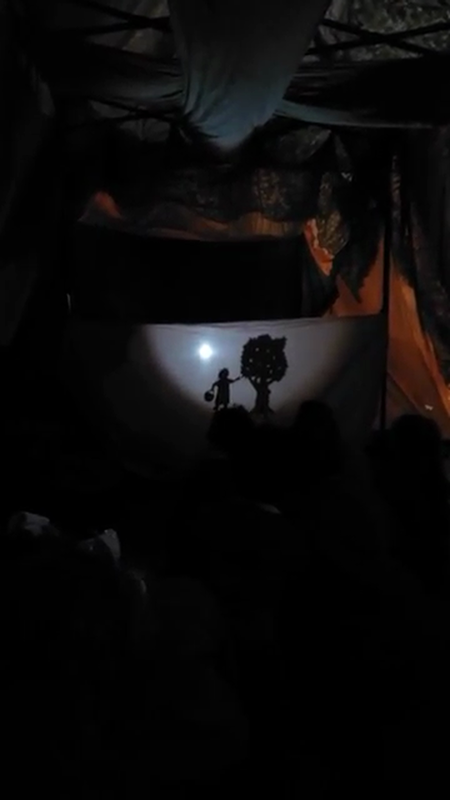 Finally, we put on our Imagineering hats and we pretended to become Narla or Gam. 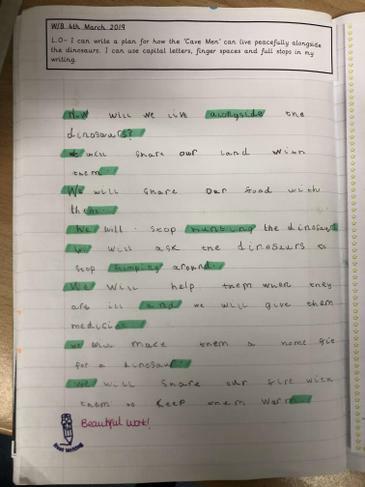 We wrote about the day when they first met the dinosaurs. 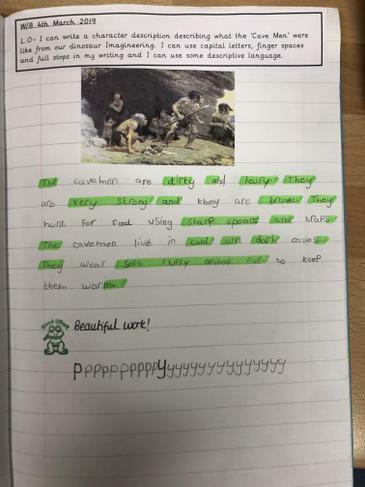 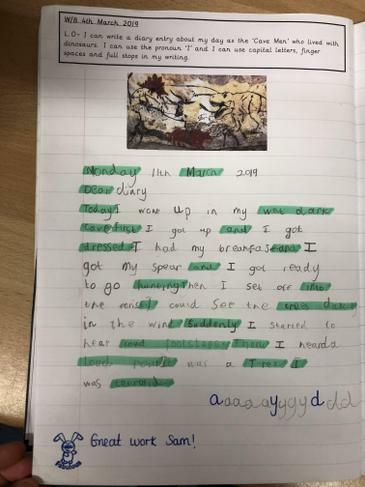 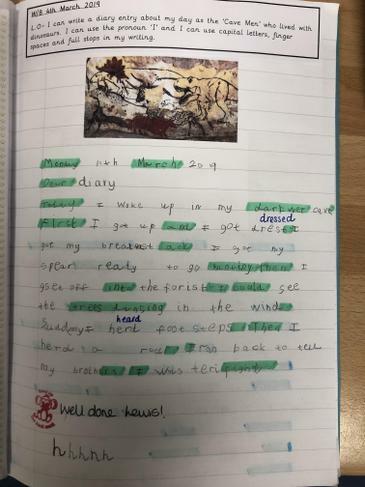 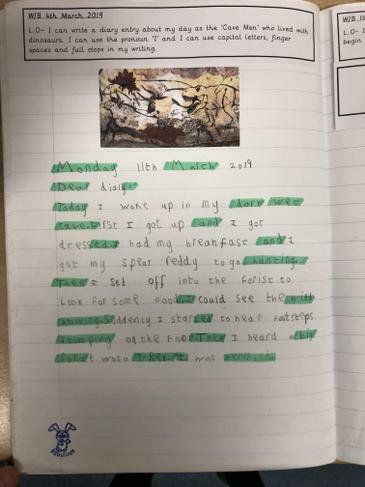 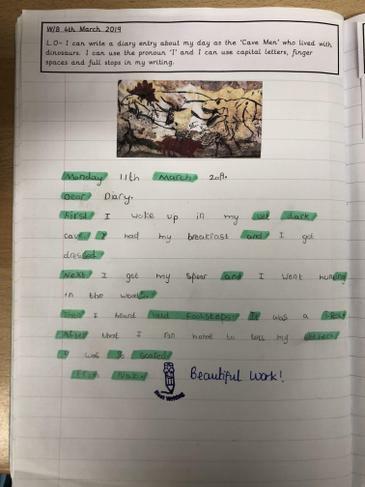 We worked really hard to use the past tense and the personal pronoun 'I' in our writing.